Almost every election is accompanied by an email campaign that announces to the electorate the start of the election, then one or two reminders are sent throughout the voting window to those who’ve not voted. While Evote supports the ability to send all these emails when an election is fully hosted on the ElectionsOnline site (as opposed to partially or fully integrated into a client’s own website), the only reporting that is available is a report listing the emails that went undelivered. 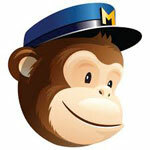 Therefore, clients may opt to handle the email campaign using a tool like MailChimp. While this does provide robust delivery and engagement reporting, the catch has been that in order to send a reminder email only to voters who’ve not voted, an election manager needs to download an Excel file from ElectionsOnline and load it into MailChimp, overwriting the existing subscriber list, before sending the reminder. Not a terribly burdensome task, but one that has now been completely eliminated with this integration. For elections where this integration is active, it means that when a person votes at the ElectionsOnline site, their voting status in MailChimp is set to Yes. Subsequent email reminders are sent only to those with a voting status of No which means reminders are only sent to those who’ve not yet voted. This eliminates the burden described above of the election manager having to retrieve an Excel file from ElectionsOnline, then load it into a MailChimp list. Instead, the subscriber list in MailChimp is automatically kept in a ready-to-use state and the only thing an election manager needs to do is send a mailing whenever it’s time to do so without doing any preparatory work on the list beforehand. The integration as described here is only possible with elections fully hosted at ElectionsOnline as opposed to integrated into a client’s website. But, “integrated into a client’s website” means that the ElectionsOnline system is keeping a client’s voter repository updated with who has and hasn’t voted, so it’s just a matter of the client working within their own technology ecosystem to keep MailChimp in sync with that repository to eliminate the manual task of updating a list before sending a mailing. There is some setup to be completed in order for ElectionsOnline and MailChimp to communicate with each other, but it doesn’t require any special skill and only takes a couple minutes. Specifically, ElectionsOnline needs to be fed your MailChimp API key and list ID, but the integration instructions explain where to find these pieces of data in your MailChimp account and provide it to ElectionsOnline. The benefit of managing an election’s email campaign through MailChimp is improved reporting and the primary benefit of this integration is eliminating the manual moving of data from ElectionsOnline to MailChimp. However, there are some bonus benefits not to be ignored. The ability to try out different subject lines with different segments of your electorate. The ability to try out different body copy with different segments of your electorate. The ability to send at a time of day when your electorate is likely to be most responsive to the call to action. The ability to set it and forget it. Because your MailChimp list is automatically kept in a ready-to-use state, you may schedule all mailings before the start of the election; go off and enjoy a vacation; come back and pick up your election results once it’s all over. ElectionsOnline is distinguished by system integrations and a commitment to innovating time-saving features. The MailChimp integration delivers on both of these traits. As always, take care to comply with 6 Tips for Crafting Emails and for further information about setting up the integration, see the Integration Instructions.